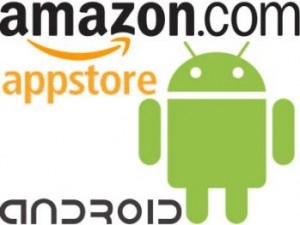 Apple to Amazon Appstore for Android: Find Another Name! "Apple this week called Amazon’s Appstore for Android “inferior” as it urged a federal court to block the online retailer from using the term “appstore,” court documents show. In the same filing, Apple also cited Android security problems, including one last week where Google was forced to pull more than 30 malicious apps from its own Android Market." Interesting that while Apple is still facing opposition from Microsoft in their efforts (starting in 2008) to trademark "App Store," they're trying to get Amazon to not use "appstore." Apple asserts that Amazon's content delivery is "inferior" (not the Android OS), and that Amazon's hosting of arguably insecure apps tarnishes Apple's brand (mark), in part by allowing apps for "rooted" (or jailbroken in Apple's parlance) systems to be hosted at Amazon. I wonder if this is a bit of retribution for Amazon opening its "Mac Software Downloads" store to compete directly with Apple. Somebody being vindictive in Cupertino?